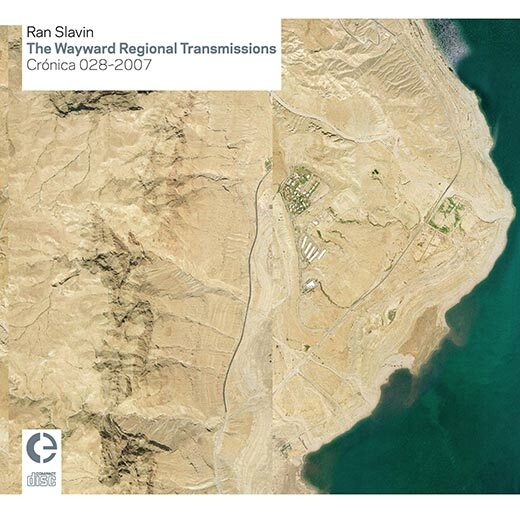 This is another chapter in our research project of Ran Slavin’s music, where we are listening to The Wayward Regional Transmissions. Artwork of the album is very original, we are looking down to the desert’s surface from a satellite, while receiving a transmission or from the command centre. Every single of Ran’s releases is a new step into the unknown territory of sound. Listening to this album you transit to Oriental Abstract Spiritual Music and glitch, combined with experimental ethno-electronic music. Have a listen to the spiritual and, at the same time, psychedelic track Wayward Initial. Its music levitates your consciousness above the vast space of Sahara desert and once you are ready to cast your eye to the horizon, it introduces a hard glitch, resembling a secret transmission from an unknown radio station directed at you. Shelters and Peace has another level of sound, introduced by clicks’n’cuts – the air above the desert is hot and static, you are starting to see images of an oasis, jittering with each click. DAT Beats – first loops and sounds remind us that we are still listening to electronic music. Ironic track Kiosk in Furadis with its colorful flying voices adds its own flavor and the picture turns unbelievably rich: Earth, space, sound, music, color. The only unfortunate thing about the track Hagalil – is that it is the last track of the album and that our Transmission is over. This entry was posted in Reviews and tagged 028, Ran Slavin. Bookmark the permalink. Comments are closed, but you can leave a trackback: Trackback URL.